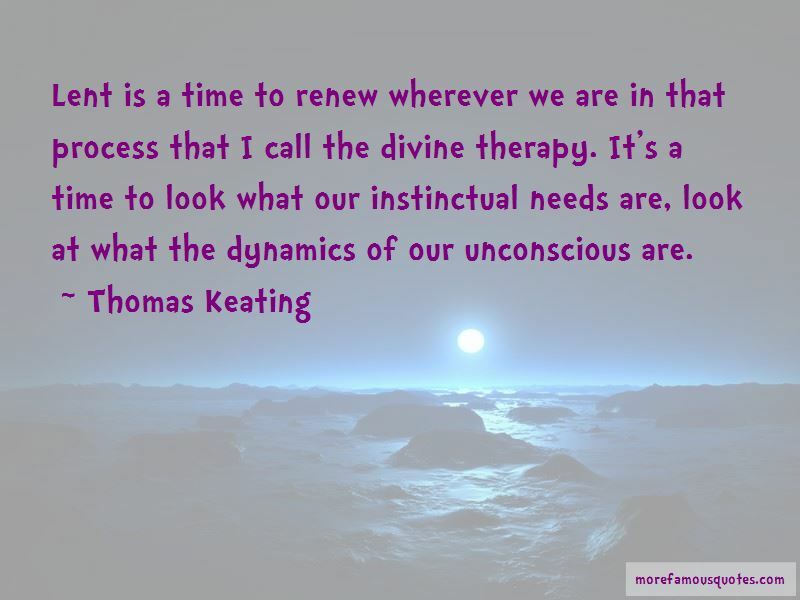 Enjoy the top 65 famous quotes, sayings and quotations by Thomas Keating. Silence is God's first language; everything else is a poor translation. 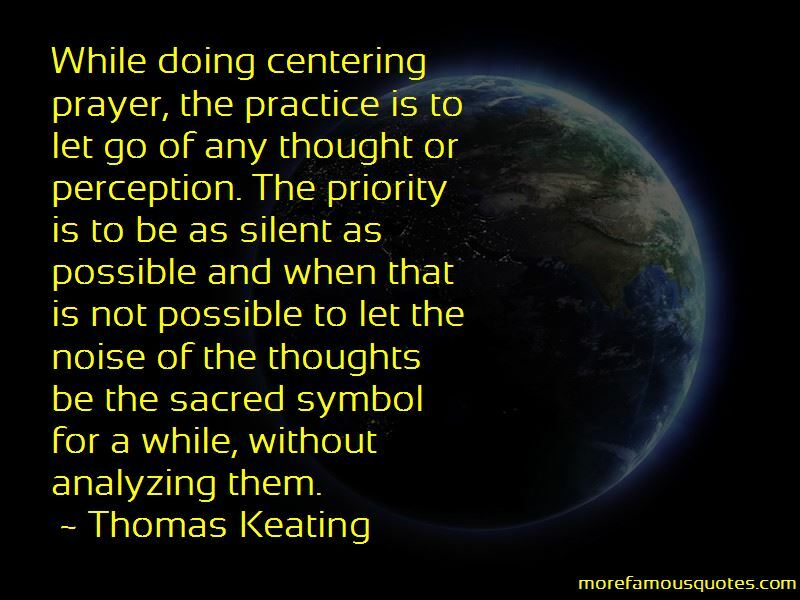 While doing centering prayer, the practice is to let go of any thought or perception. The priority is to be as silent as possible and when that is not possible to let the noise of the thoughts be the sacred symbol for a while, without analyzing them. God's first language is Silence. Everything else is a translation. The chief thing that separates us from God is the thought that we are separated from God. The acceptance of all that God has given us and the willingness to let it go - to give it back to him at a moment's notice - that's true human freedom. Silence is God's language, and it's a very difficult language to learn. The root of prayer is interior silence. God is a tremendous supporter of creation, especially of all living beings. Centering prayer is a training in letting go. Religions have a special responsibility to encourage and inspire people to love planet earth, which as far as we know, is the only place in the cosmos that works in such a harmonious way that it can support intelligent life. We're obviously at the edge of something quite new in humanity's experience. That is this globalization process which isn't just economic or social, but involves the interpenetration of cultures, people moving to different places several times in their lifetime, traveling for business or pleasure, and marrying people of very different cultural backgrounds, all of which was almost impossible a hundred years ago. The capacity for emotional sobriety belongs to everybody in the human family and leads to a fully human response to the adventure and goodness of the gift of human life. Union with God is really possible. Unity with God I presume, is what is meant by Heaven, but that too is available in this life for the humble of heart. Becoming fully rational is not enough anymore; evidently it can lead to distortions of all the great human possibilities. To see everything in God and to see God in everything normally takes a lifetime of practice. In the Christian perspective, the love of God and of all other human beings invites us to share and enjoy not just the best of the human potential as it evolves, but participation in the divine life itself. We need to develop the intuitive capacities of the brain that some geniuses have manifested over humanity's lengthy history. Is a process of inner transformation, a conversation initiated by God and leading, if we consent, to divine union. One's way of seeing reality changes in the process. A restructuring of consciousness takes place which empowers one to perceive, relate and respond with increasing sensitivity to the divine presence in, through, and beyond everything that exists. 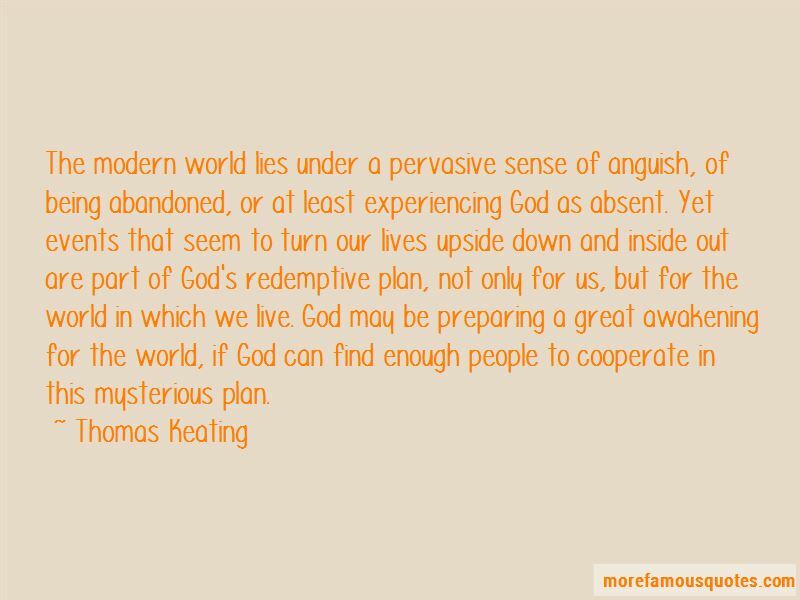 Want to see more pictures of Thomas Keating quotes? 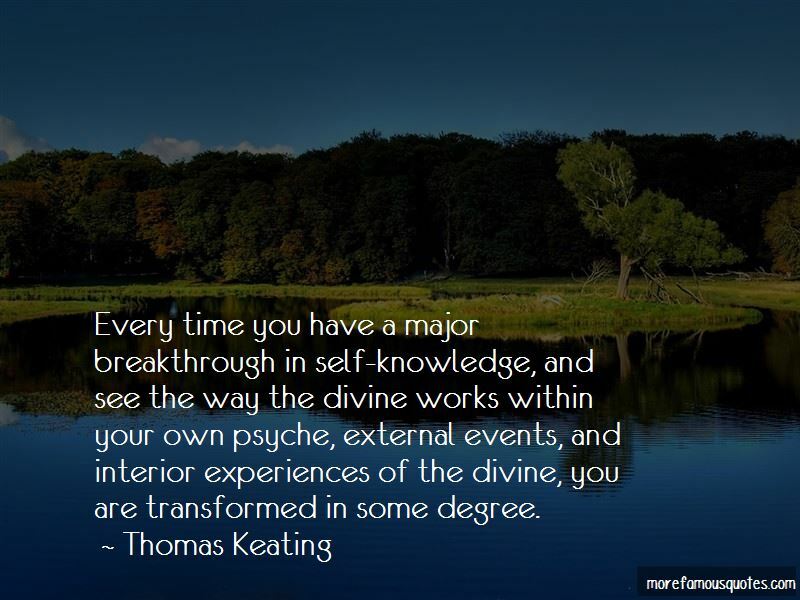 Click on image of Thomas Keating quotes to view full size.